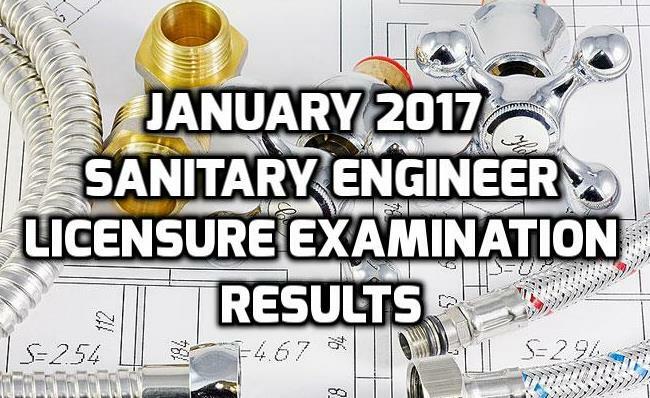 For those who are anticipating for the results of examination for Master Plumber this 2017, the Professional Regulation Commission (PRC) already released the list of passers for February. Out of 1,210 takers, only 478 passed the licensure examination held in Manila, Iloilo and Baguio City. 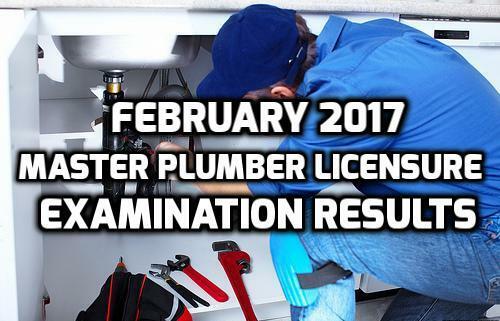 From the information shared through the official website of the PRC, the Board for Master Plumbers provided the examination from the designated places. As for those examiners who pass the licensure and want to get information about the releasing of their Professional ID Card and Certificate of Registration, they can visit the website for proper guidance. Occupational therapists are among the best workers in the world because they have a great impact in the recovery period of their patients. The most interesting duties they have is to make sure the people they help are participating in everyday life activities. 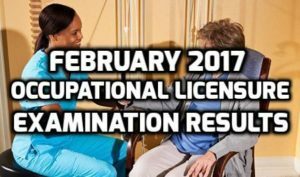 Just recently, the Professional Regulation Commission or PRC revealed the list of new passers for the Occupational Therapist Licensure Examination this February 2017. 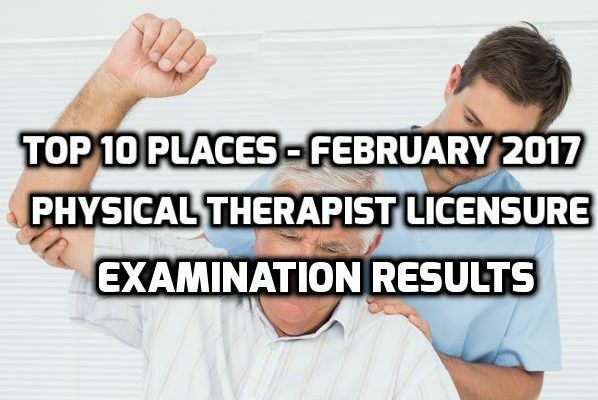 Based on the information provided by the Board of Physical and Occupational Therapy, the examiners took their exams in some cities of Metro Manila and in Cebu. Out of 185 takers, 128 passed the examinations and the PRC released their names already. 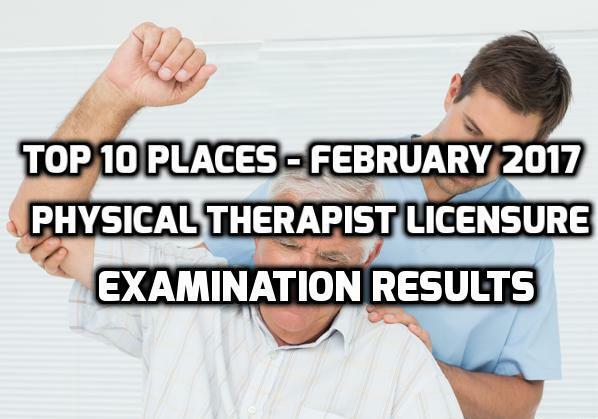 For those who are expecting for the results of the 2017 Physical Therapy Licensure Examination (recognized as the August 2016 Physical Therapist Board Exam) this February, the Professional Regulation Commission (PRC) already revealed the passing examiners. The examination venues include Manila as well as Cebu and out of 856 takers, 512 of them passed the exam. 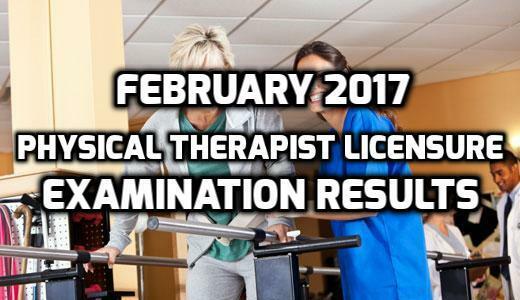 During the examinations, the Board of Physical and Occupational Therapy monitored the examiners and handed the results to the PRC for the final announcement. The 512 passers will be waiting for the schedules of oath taking, releasing of their certificates and professional ID cards. 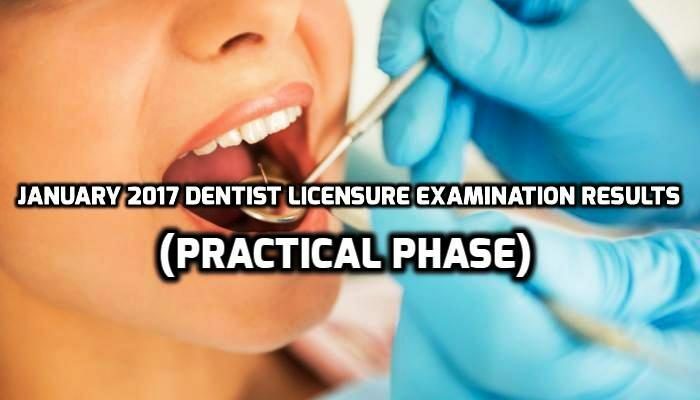 The Professional Regulation Commission or PRC already released the list of passers for the Dentist Licensure Examination (Practical Phase). 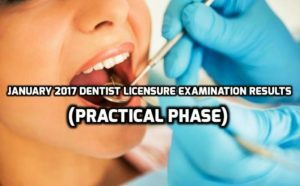 The Board of Dentistry handed down the list wherein the examiners took their exams last January 2017 in Manila. 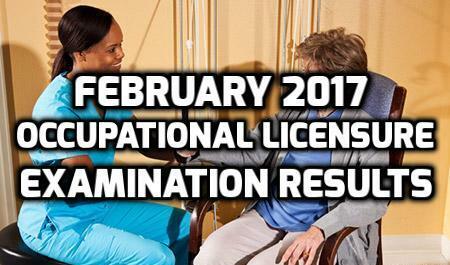 Out of 613 examiners, 609 of them passed the licensure and set to receive their Professional ID Cards and Certificate soon. The PRC will be announcing the venue where the passers take their oath after a successful examination on January. PRC (Professional Regulation Commission) has announced that out of 95 examinees who took the Sanitary Engineer Licensure Examination, 62 takers have passed. The exam was given by the Board of Sanitary Engineering. The members of the Board who administered the exam were Engr. Corazon De los Reyes-Romero, Chairman; Engr. Alfredo B. Espino and Engr. Florimond M. Lara, Members. The examination was held in Manila last January 2017. The results of the exam were released in two days after the last day of examination. The date and the place for the oathtaking ceremony will be announced on a later date, so stay tuned for more information. 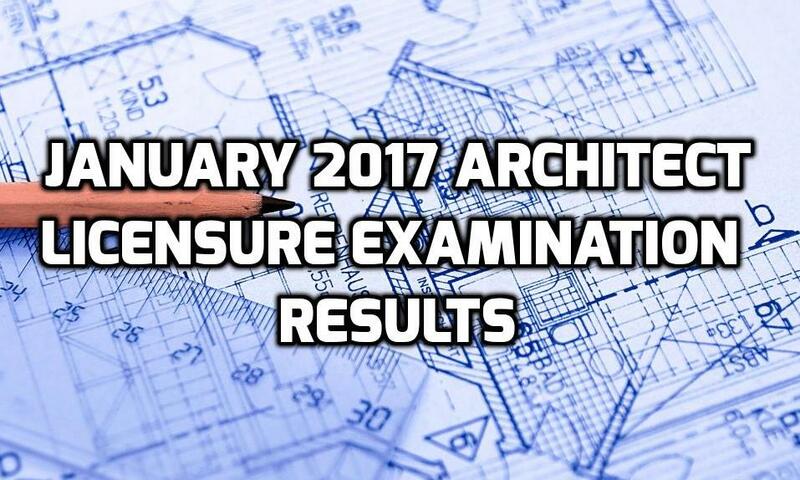 PRC (Professional Regulation Commission) has announced that out of 1,595 test takers who took the Architect Licensure Examination, 919 have passed. The ALE was given by the Board of Architecture. The Board is headed by Chairman, Architect Robert S. Sac. 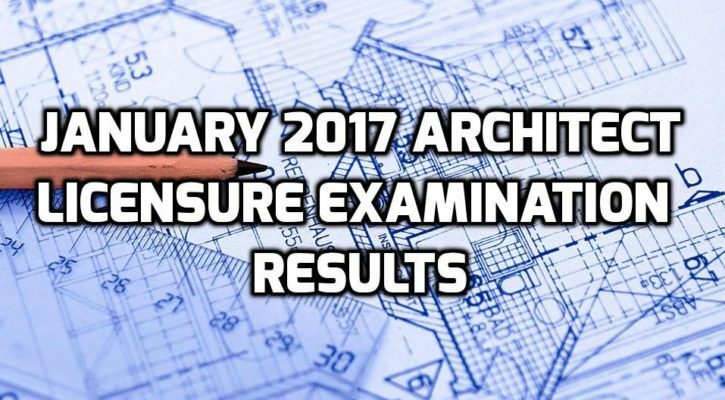 Along with the chairman, two members Architect Fidel Jose R. Siapno and Architect Robert M. Mirafuente also gave the examination. It was held in Baguio, Manila, Legazpi and Davao on January 27 and 29, 2017. The results of the ALE were released in five working days after the last day of examination was conducted. The date and the place of the mass oathtaking of the successful examinees will be announced on a late date, so stay tuned for any announcements by the PRC. Take a look at the full list of the board passers below.